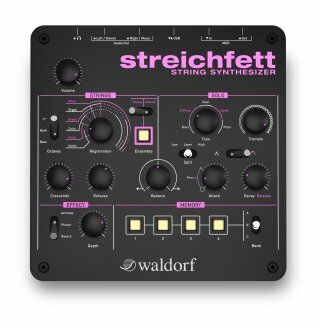 Streichfett combines the best of the previously extinct species of string synthesizers of the '70s and early '80s. Its dual sound engine features a fully polyphonic strings section and an eight voice solo section, which is essential for recreating how adult movies sounded 30 years ago. The Ensemble Effect handles lubrication of the String Section, while the Effects section adds adjustable Phaser and Reverb. 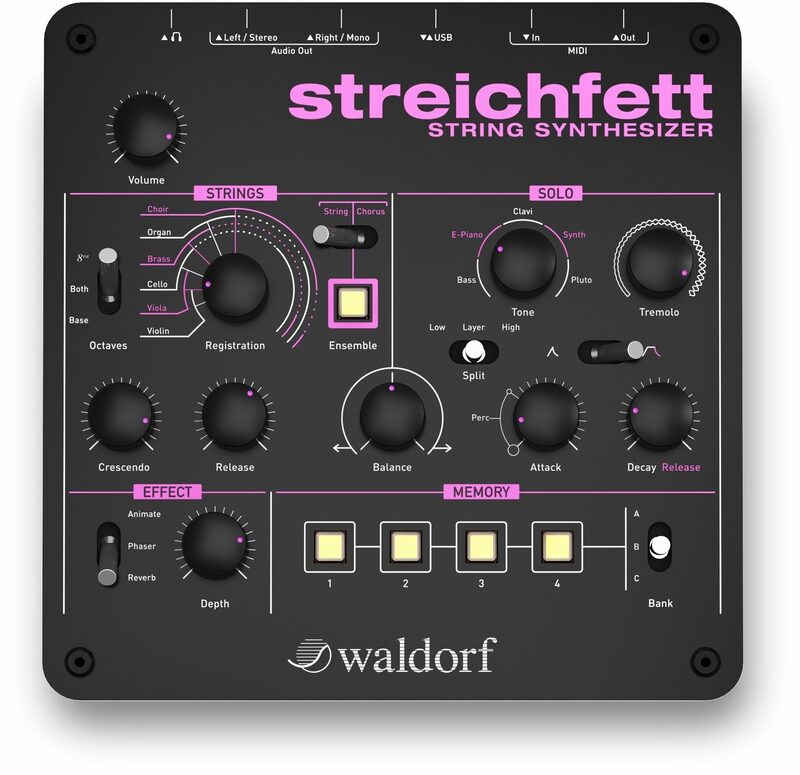 Additionally, the Animate Effect can be used to modulate the strings registration, allowing spectacular sound morphs. Although the user interface is simple and easy to comprehend, it controls a rather complex sound engine which can deliver rich and creamy pads unlike any other instrument. Available until 11 PM (EST) today. 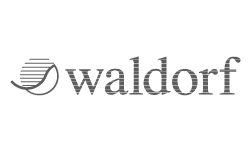 Mention special code 202-0V1S when you call.